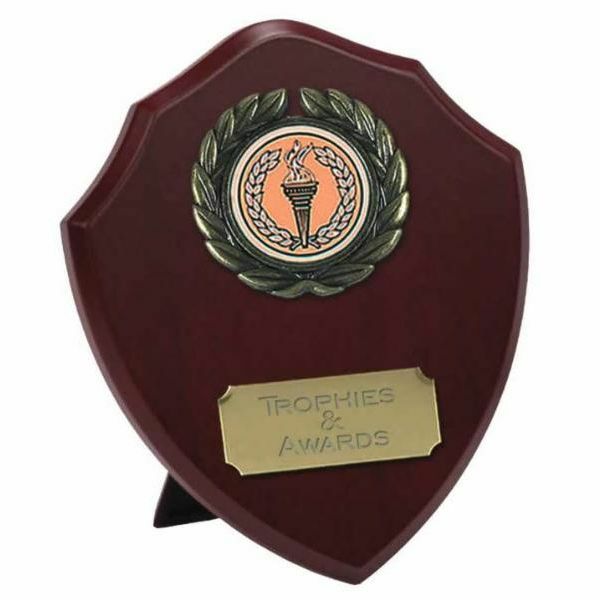 The engraved Triumph Shield is 10cm high, is made of a wood veneer with plate for engraving and a plastic strut for a stand. The shield is personalised with a centre of your choice for your sport or event, and up to 50 letters engraving is included in price. Additional letters to personalise the shield are charged at 15p/letter. This shield is also available in a larger size of 12.5cm. The engraved Triumph Shield is postage band B.